Dubai–It was supposed to be Dubai’s moment of crowning glory, one that cemented the tiny emirate’s place as the definitive home of all things bigger, better and shinier. Instead it turned into an example of how badly things have gone for Dubai over the past year. 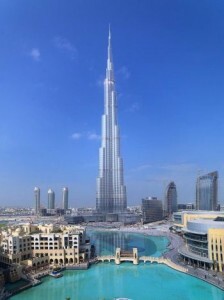 Amid pomp and circumstance, Sheikh Mohammed Bin Rashid Al Maktoum inaugurated the opening of the Burj Dubai (Dubai Tower), an 0,8km high tower that dominates a skyline already filled with massive, shiny edifices. Fireworks shot from the length of the world’s new tallest building, making the whole thing look like it was launching into orbit. But very few people seem to believe he made the change voluntarily. When last year’s financial crisis hit, Dubai found itself heavily leveraged and facing billions of dollars in debts to state-affiliated companies like Dubai World. Amid intense speculation that the emirate and affiliates would be forced to default on their financial obligations, oil-rich Abu Dhabi rode to the rescue with a US$10 billion bailout. At the time, rumors ran hot that the lifeline came with significant strings attached—something both governments strenuously denied. “There are no conditions,” to the bailout, an anonymous Dubai government official told the Reuters news agency as recently as December. So when the last-minute name changed was announced, many Dubai residents assumed it to be a particularly cruel string attached to Abu Dhabi’s emergency loan—the equivalent of a loan shark forcing a debtor to publicly rename his own newborn child. The secrecy surrounding the change has only fueled those rumors. One local newspaper editor, who like all the residents interviewed for this article declined to speak publicly on such a sensitive issue, said one of his columnists got wind of the potential change about four days before the opening ceremony. He was told by his government sources to leave the issue alone. “The town is awash in speculation and there’s an information vacuum. So what happens is that the most outlandish theory gains credence,” said a British expatriate who has lived in Dubai since 1996. Still there are some who believe the official version. One longtime Arab resident of Dubai, who lives within sight of the new tower and hosted a viewing party on opening night, said his guests were shocked by Al Maktoum’s announcement. But he believes it was a voluntary gesture of goodwill by Al Maktoum—hopefully one that will end the rivalry between the Dubai and Abu Dhabi. He argues that if Bin Rashid had indeed insisted on the name change, he would have attended the ceremony in order to bask in the glory of the moment. “I think it was a good move. It solidifies the relationship. After all it is one country,” the Arab expatriate said. In the aftermath of the last-minute name change, Dubai was left in a slightly surreal situation. Hundreds of now-incorrect street signs point the way to Burj Dubai; gift shops are filled with t-shirts, scale models, and other trinkets that were obsolete from day one. Whatever the truth of the matter, most observers believe that Dubai faces a different reality going forward. Numerous residents predict that the brash statelet’s free-spending glory days are over. After flirting with financial meltdown, foreign investors will demand greater oversight, transparency, and all-around fiscal responsibility. Those demands for restraint will also likely come from Dubai’s new primary investor: Abu Dhabi. The relationship between the two mini-states, each run by rival clans, has always been complicated. A recent article on the magazine Foreign Policy’s website summed up the dynamic.